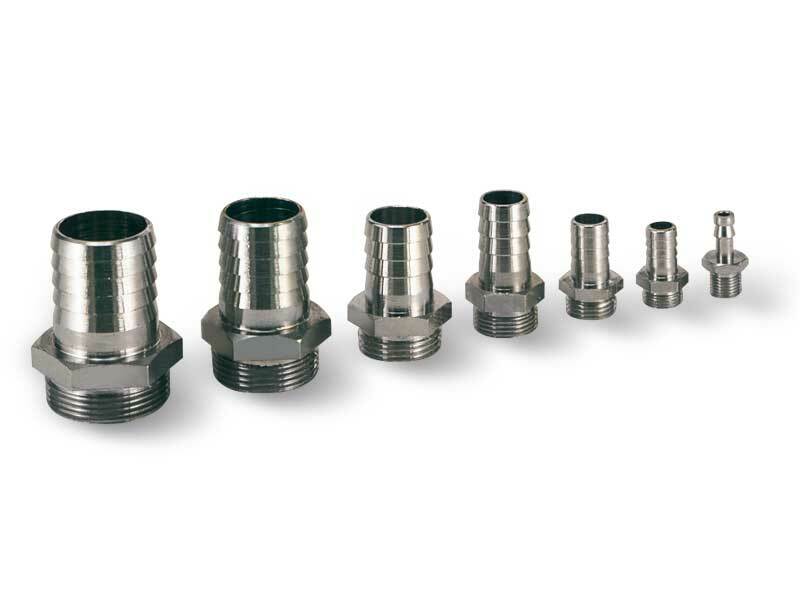 Our hose ends are traditional barbed nickel-plated and brass fittings. 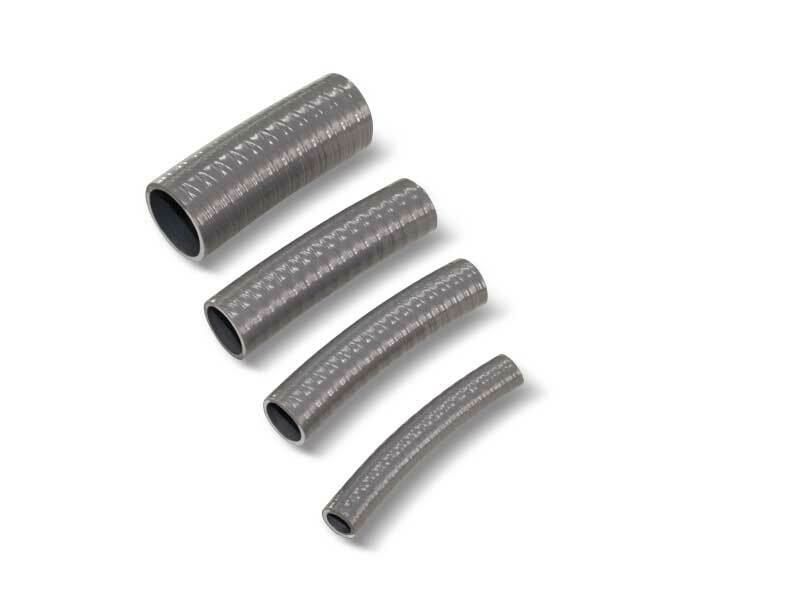 They are suited for connecting smooth or reinforced flexible hoses with an internal diameter up to 76 mm. The fittings described in this page are particularly indicated for connecting vacuum cup holders to their manifolds and in all those cases that require a connection to vacuum sources via smooth flexible hoses with internal diameters of 4, 6 and 9 mm, which is the maximum allowed for a vacuum hose with no internal reinforcement. These are semi-rapid fittings. The hose is fixed by manually screwing the reeded bush with no need for keys. The threaded connections are male and female, according to the requirements. The range is completed by L and T-type fittings and caps with O-rings. 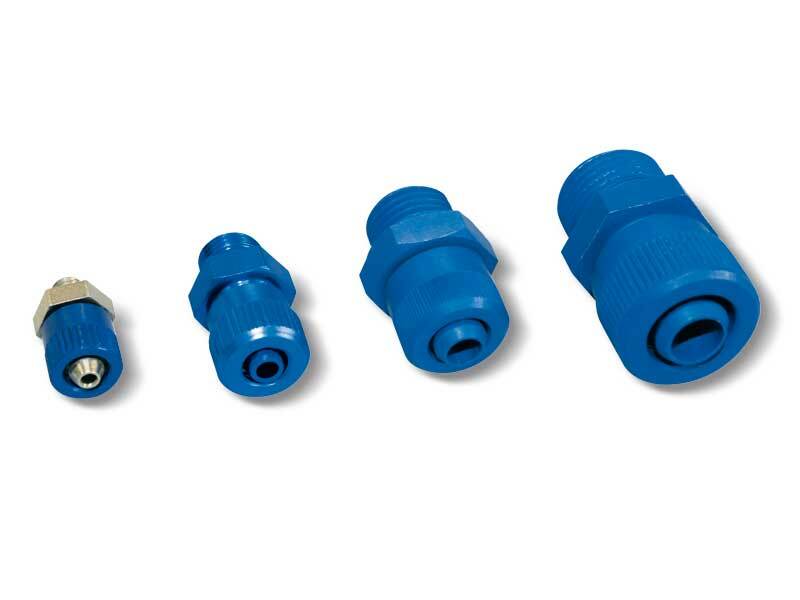 The fittings are a available in practical 10 or 50-piece packages and are supplied with their nylon seal. Quick coupling fittings are composed of a jack with hose end connector and a threaded male coupler which connects itself to the jack. They are fixed by a ball ring pushed by a spring. A nitrile rubber seal guarantees a perfect vacuum seal. 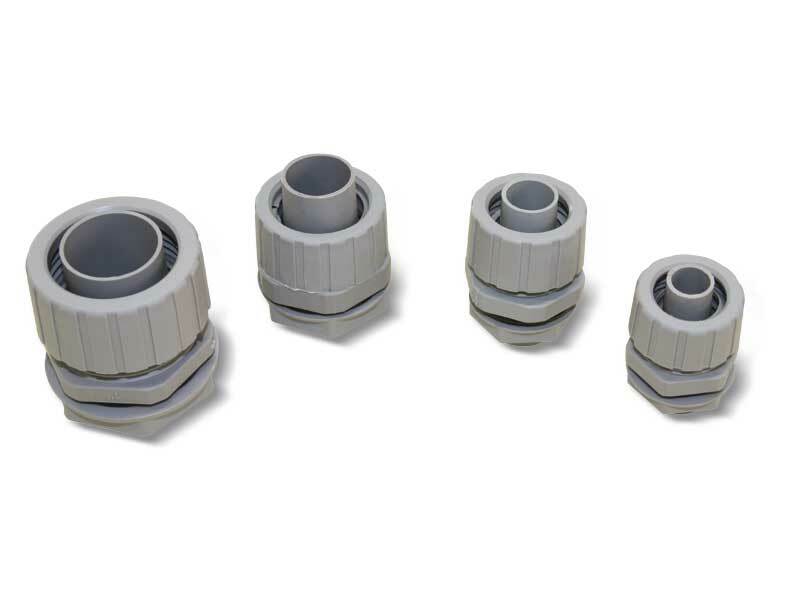 This type of fitting allows the two components to rotate freely at a low speed and to rapidly couple and disconnect by manually acting on the jack reeded ring nut. 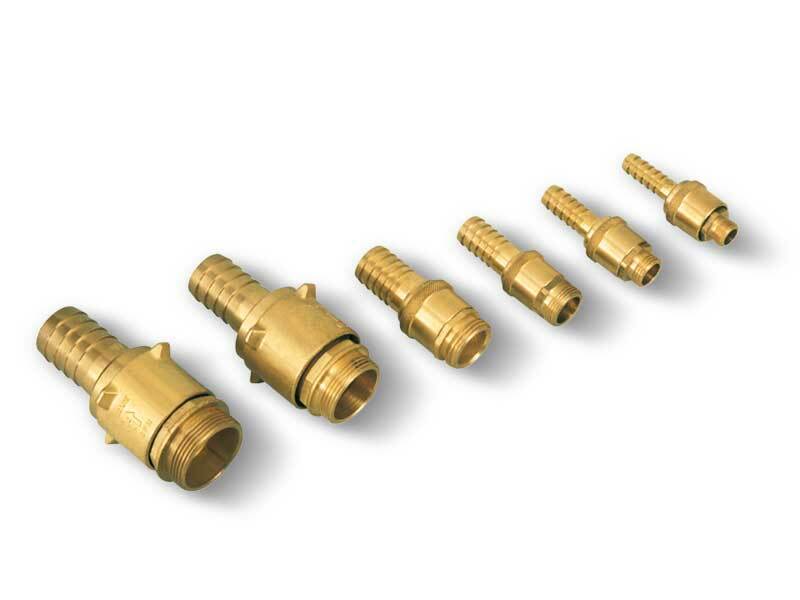 These fittings are fully made with brass and are available in various sizes. TPL flexible hoses are made with Polyamide 11 of vegetal derivation and are suited for compressed air and vacuum for internal diameters up to 9 mm, as well as for compressed air only. They feature a good flexibility and lightness, a very low water absorption and excellent mechanical performance. They also feature an excellent resistance to low and high temperatures, chemical agents, pneumatic pressure and ageing. Our TPR flexible hoses have been specially designed for vacuum and are composed of a single piece with plastic insulation and self-extinguishing materials, including the hose reinforcement core. Their excellent flexibility ensures minimal bending radius and are very light in relation to their great resistance to crushing. Their smooth inside allows reducing harmful load losses to the minimum. The excellent functionality of these flexible hoses is associated with a high resistance to abrasion, to weather agents and most chemical products. TPL flexible hose connection is ensured by the previously described fittings. As for TPR hoses, we have created a brand new range of RTPR fittings. RTPR fittings from 3/8” to 1” are made with self-extinguishing polypropylene, while the larger ones are made with nickel-plated metal. All the fittings are very sturdy and ensure a perfect vacuum seal. Moreover, these fittings do not require unpleasant hose clamps and make the connection much quicker and safer. They are available in various sizes according to the diameter of the hose to be connected.